This round of ROMP we are a sponsor, so to celebrate we have Dasyra. Our latest 100% original mesh creation is made up of a top, a skirt, and bolero and little else. There will be nothing left to the imagination when you flaunt what the Lindens gave you. 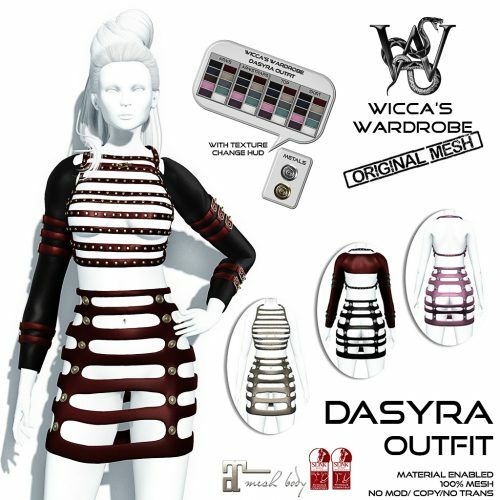 Since Dasyra comes in three separate parts and along with a massive texture changing HUD, you will have all kinds of options in styling the look that best suits you. 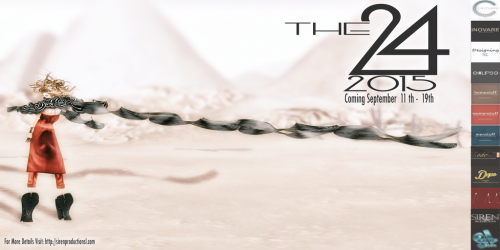 Dasyra is designed to fit Slink’s Hourglass and Physique as well as Maitreya’s Lara.